The TVS MillionR edition has been renamed as TVS "Jupiter ZX Disc". 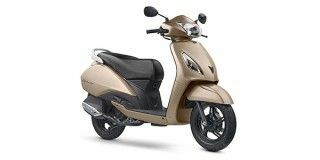 As the name suggests, the scooter gets disc brake at the front and for a premium of Rs 2,000 over the standard ZX variant we feel it has been priced well too. It also gets mobile charger as a standard fitment which is something that will be appreciated highly by smartphone users. Q. Is Jupiter ZX digital?